Do you wish to nurture your skin without exposing it to unnatural products filled with perfume and other artificial additives? At Meraki we have developed a wonderful pure skin care series, Meraki Pure. All the products of the Meraki Pure series are certified for use by asthma and allergy sufferers and well as certified organic. 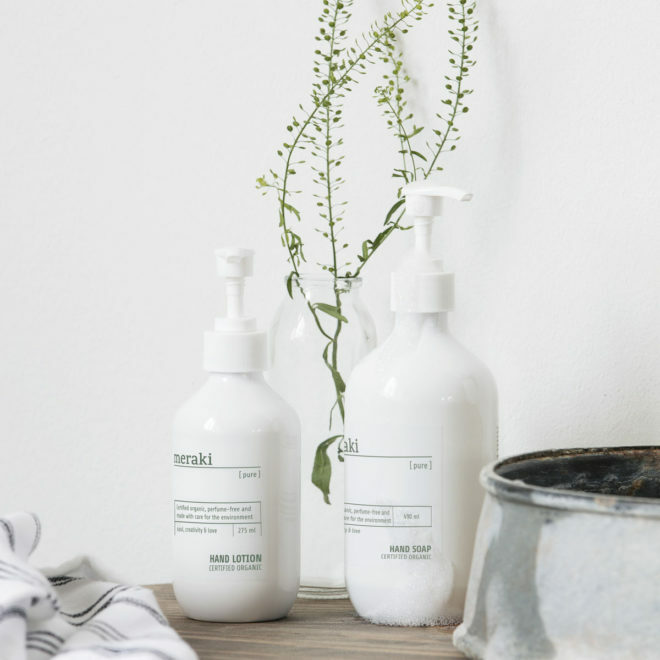 Furthermore, Meraki Pure hold The Nordic Swan Ecolabel, which make them gentle and ideal for sensitive skin. Treat yourself and your body – start off with a lovely warm shower using Meraki Pure shampoo, conditioner and body wash. Finish off with our wonderful body lotion which moistures your skin. Try the lovely products from Meraki Pure and discover a whole new world of pure skin care.